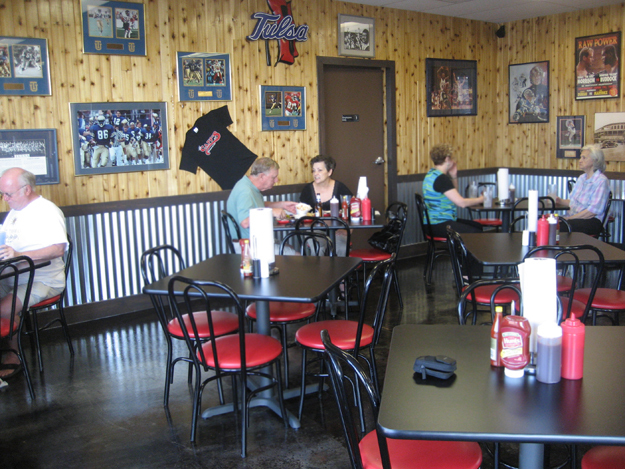 Until about a week ago, if you wanted great barbecue in Tulsa you’d have to leave the city. You’d head up north to Sperry and Donny Teel’s domain, or south to Broken Arrow to Oklahoma Joe’s. 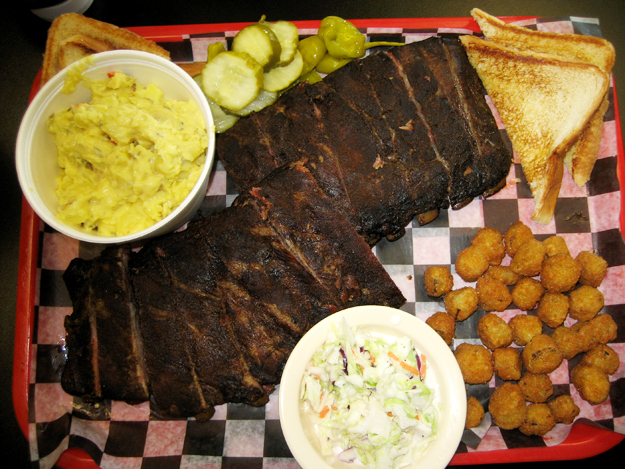 Or go to Northside, or make it an early meal and have lunch at Burn Co. Today, good barbecue is as close as 11th Street. Just head a bit beyond Lewis and pull in at the Capp’s BBQ sign. Capp’s isn’t in the same league as the aforementioned places, but there’s still tasty ‘cue waiting for you there. Walk inside and you’ll find traditional BBQ decor. 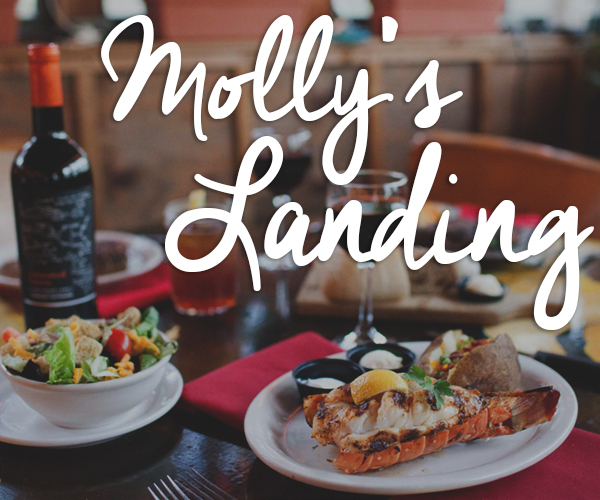 The menu has a full array of delights including loaded baked potatoes and fried catfish and shrimp. All the usual meats are available: sliced brisket, chopped brisket, pulled pork, smoked turkey, chicken and bologna. I ignored these and as always went for my favorite BBQ dish. And here it is. A slab of ribs! (It’s $21.) Accompanied by a pint of potato salad ($4) and a side order of okra and cole slaw ($1.49 each). The cole slaw was very sweet (I liked that) and very good. The fried okra were even better and came in a big portion; next time I’ll get a pint of that. The potato salad was about average but a very good average it was and we happily finished it. Now, the ribs. Let’s zoom in closer. 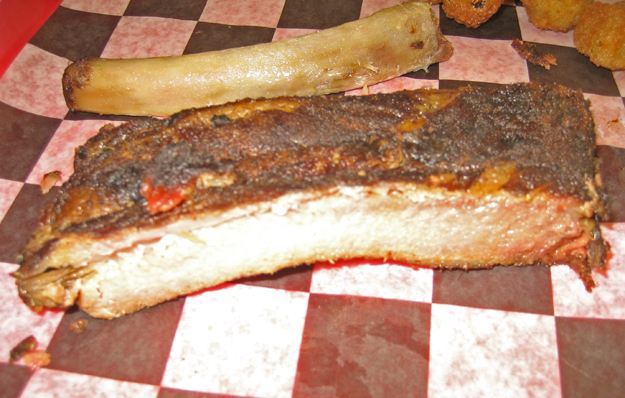 As I said the ribs aren’t up to the standards of the region’s reigning champs. In fact they were a bit mushy. That’s because they’d been smoked so long. But they have a fine flavor, lots of smoke and spice and meaty goodness, and my friends and I happily devoured the whole big slab. And if you live in midtown, it’s so close to home! We finished our dinner before, had we gone to Oklahoma Joe’s, we would have arrived in Broken Arrow. Now you’re probably missing my usual literary reference, and I can’t let that happen so here it is. I’ve been reading the Iliad. It’s exciting and full of action; all but the last few pages takes place over the course of four or five days. The characters are for the most part surprisingly rich and vividly brought to life. Achilles develops over the course of the action in a way reminiscent of Shakespeare’s Hamlet. And in fact if you read it in a good translation (I read Fagles) it’s on a par with Shakespeare in hypnotic mastery of surging language. But when it comes down to it all these guys do is fight and eat barbecue!! Yes the meat is grilled rather than slow-smoked but that’s all they eat. They never bother to eat fish. And in fact the food, as well as sating hunger, has a social function of healing, of bringing people together. Here, in almost the final scene, is Achilles making peace with Priam. “But now at long last,” says Priam, who has been grieving for his son, “I have tasted food again.” Finally he is content. Eat at Capp’s and you will be too. Open 11 AM to 10 PM every day except Sunday, when they are closed. Long article which I didn’t read on why they eat meat not fish in the Iliad.